On Sunday 22 April, close to 40,000 participants will be readying themselves for the most famous race in the world – the London Marathon. Whether you are one of the runners gunning for a medal, a spectator cheering on loved ones or watching from the comfort of your sofa, there are many famous landmarks that can be seen along the course. Over time, all of these famous landmarks will have undergone concrete repairs and other forms of historic restoration in order to look their best for events such as the London Marathon. It is landmarks such as these that have made the marathon the showpiece event that it is today, which is why we have highlighted some of the most iconic attractions that runners will pass on their way to immortality. One of the first major landmarks that runners will pass is Battersea Power Station around the six-mile mark. The building won’t be clearly visible, however - runners and spectators can just catch a glimpse of the chimneys to the right of the route. The Cutty Sark is one of the most well-known landmarks associated with the London Marathon and it is one that runners are delighted to see as it means they are more than a quarter into the race. The adrenaline of the day is still rushing through the runners’ veins and this is an ideal spot for spectators to head to after the start to see family and friends powering through the streets of London. Just before reaching the halfway mark, runners will cross over the most famous bridge in the world, Tower Bridge. Originally constructed in 1894, the famous landmark has undergone several rounds of restoration work. In March 2011, three years’ worth of restoration work, including concrete repairs and other vital work, was completed while the bridge was also closed for three months in 2016 for structural repairs. This is where runners will really be feeling it, knowing that there are still eight agonising miles separating them from a medal. The 18-mile mark sees runners come through Canary Wharf as they approach the 19th of 26.2 miles. Spectators are advised to arrive here in good time if they wish to catch a glimpse of loved ones running, as this is a favourite spot for charities to set up camp to cheer on runners representing their cause. Agony turns to ecstasy as runners catch sight of Buckingham Palace as it means that they are almost there and, as they turn into the Mall, the finish line is in sight. The roar of the crowd provides runners with an outer body experience as aches and pains make way for a Usain Bolt-like sprint to the finish line, where they will collect the medal they have trained so very hard to wear around their neck. 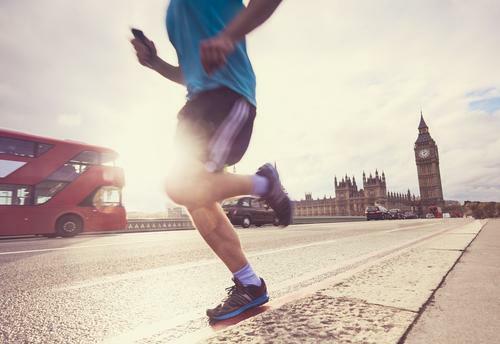 Without landmarks such as these, runners would agree that the London Marathon wouldn’t be what it is, which is why renovation works such as concrete repairs are integral. For more information on services provided by Concrete Renovations, please get in touch with a member of our team on 01733 560362 or via our contact page today.